As an attention-commanding headline, “Italian Left Party Splits” ranks with “Showers expected in London.” Splitting is what left parties in Italy do. Their leading figures find a point of principle, or a personal grudge masquerading as one, and use it as a way to leave comrades they have come to hate, to found a party composed of other comrades they have not come to hate yet. Hence the split in the center-left Democratic Party of Italy last weekend might have passed with little interest. But that would be wrong. It was a blow to an already disheartened citizenry, who know from experience how hard times are. However badly it goes for Italians, its consequences could be as malign for Europe, and beyond. Italy is in a parlous situation, economically and politically. In the midst of the splits and the spilling of bile, the European Commission warned the government on Wednesday that it must reduce its huge and still rising public debt – now at over 133 per cent of GDP. Under the two-year premiership of Matteo Renzi, reforms were made, especially in labour law, but they were judged too little, and produced anemic growth. 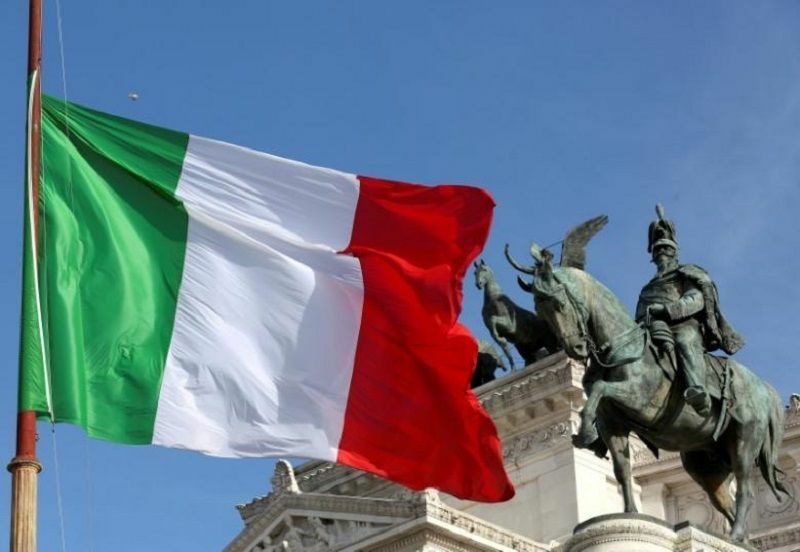 Along with France and Belgium, Italy is stuck in a spiral of debt and stagnation which refuses to respond to efforts to liberalize the economy and spark growth. Unemployment in the EU came down slightly at the end of last year, but youth unemployment was up to over 20 percent. In Italy, about 36 percent of 18- to 25-year-olds have no job. The shutting out of “millennials” from work is an unexploded mine in Europe. In Italy, where strikes and protests are common, they have yet to take to the streets in large numbers. But they probably will. Instead, those who took to the streets of Italy this past week were taxi drivers, enraged at Uber’s challenge to their trade, prompting occasionally violent protests outside the parliament in Rome. The mayor, Virginia Raggi of the Five Star Movement, supported the strike, as did her party leader, Beppe Grillo. The Movement is riding highest in many polls at present, and is likely to benefit further from the Democratic Party’s woes. Yet it’s incoherent, wholly unused to governing and rabidly populist. At the same time, a figure often written off, Silvio Berlusconi, is purring in the wings; and the leader of the far-right Liga, Matteo Salvini, has raised his party’s profile and has hitched his star to Donald Trump’s wagon – outperforming his hero in calling for migrants to be pushed back into the sea, and closing all mosques. He has increasing support. In many parts of Italy, migrants, usually with no work and little shelter, congregate. Though helped by charities, the church and many individuals, many people fear them. Continuing stagnation, low growth and higher debt threaten the EU, which is struggling to keep Greece from a default and an exit from the euro. The IMF now pleads with the EU to give the country debt relief to avoid default: but to do so would be to open the doors to a justified complaint from Italy that it, too, should be let of the debt-reduction hook – and would anyway never get agreement from German Finance Minister Wolfgang Schäuble, the adamantine supporter of hard targets. A Grexit would be manageable by the EU and the other Eurozone countries: an Italexit would not. An election, which is likely to come soon, may bring some clarity on the strength of the relative political forces. But the turbulence in Italy spreads beyond its borders in two ways. First, it illuminates the continuing weakness of the left everywhere. In the Netherlands, where elections in three weeks’ time are expected to show a win for the far-right Freedom Party; and in France, where the National Front of Marine Le Pen is also expected to dominate the first round of the presidential elections in April. Both these parties rely heavily on support from the working class, many of whom had voted socialist for years. The Swedish sociologist Bo Rothstein wrote recently that “the more than 150-year-old alliance between the industrial working class and what one might call the intellectual-cultural Left is over,” noting that blue-collar union members in his own country now prefer the anti-immigration, anti-Muslim Swedish Democrats to the once-invincible party of the left, the Social Democrats – which leads the far-right party by only four points. The fragility of the European left was underscored on Thursday by Labour’s loss, in a by-election, of the northern English constituency of Copeland, held by the party since the 1930s. The loss was extraordinary; it is almost a rule that oppositions win by-elections. Labour held off a strong challenge from the anti-immigrant party UKIP in a second by-election, but its majority was reduced. The party cannot win, it seems clear, when led by the far-left Jeremy Corbyn, but the left majority in the party has insisted he must stay to build, somehow, a consensus for true socialism, gifting the government a time in power free from the threat of serious opposition. Reassuring voices in the political class and the commentarial say that however alarming and illiberal, the populists will not win. They say no Dutch party will work with Geert Wilders Freedom Party if it wins. They say Marine Le Pen may lead in April, but will crash in the second round of presidential voting in May. The Italian right is itself split, with the usual reluctance of leaders of differing groups to cooperate. In Germany, the far-right Alternativ fur Deutschland will enter the federal parliament for the first time and increase its representation in the state assemblies, but that is all. As matters stand, that’s likely true – though all the far right parties are, in this new year, tending to creep upwards in the polls. Liberalism and centrism will probably continue. But what happens to the working and lower-middle classes and to the unemployed young of Europe after defeats of the populists who have championed their causes? What are the chances for real reforms, either from the EU or from the governments of the state? Does aging Europe have the energy to stage a 21st-century social and political renaissance? For that, presently, there is no reassuring narrative. John Lloyd co-founded the Reuters Institute for the Study of Journalism at the University of Oxford, where he is senior research fellow. Lloyd has written several books, including What the Media Are Doing to Our Politics and Journalism in an Age of Terror, published this month by I. B. Tauris. He is also a contributing editor at the Financial Times and the founder of FT Magazine. Otros artículos de John Lloyd, de Reuters	o del 25/02/2017.